Before I embark in the campaign, I like to get familiar with the capabilities of the two factions of this DLC. 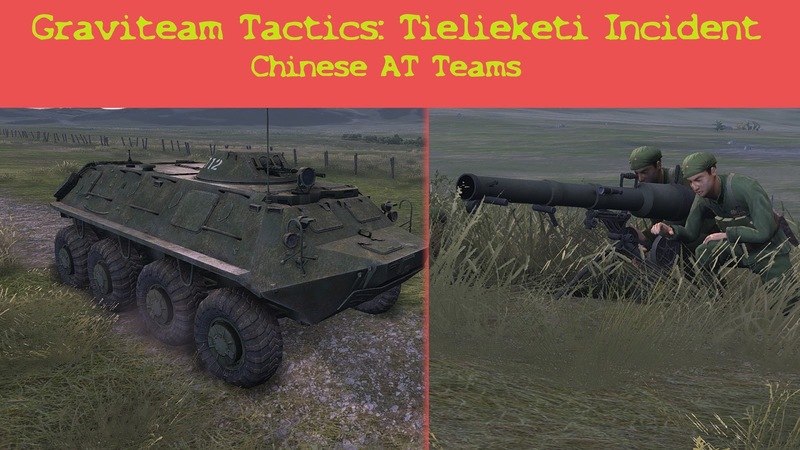 Today, the Chinese AT teams. Featuring two recoilless rifles and a heavy MG, I have them facing a Soviet column of APCs moving down a road. The method of deliver is by video. Please make sure to go to YouTube for betters viewing experience. The recoilless rifle is extremely effective against light armor. Typically, the first round would immobilize the enemy vehicle and subsequent rounds would complete the killing. The rate of fire of the recoiless rifle is high, which eventually can be used in ambushes. The recoilles rifle's crews have an uncanny ability to lead very effectively. In this particular scenario, the correct amount of lead was very useful.